My mom-in-law asked me to put this recipe on my blog. The problem is, I don't have an actual recipe, per se. I just throw stuff together. But I made this today and tried to pay attention to what I did so I could give some helpful instructions. Essentially, this is very simple. 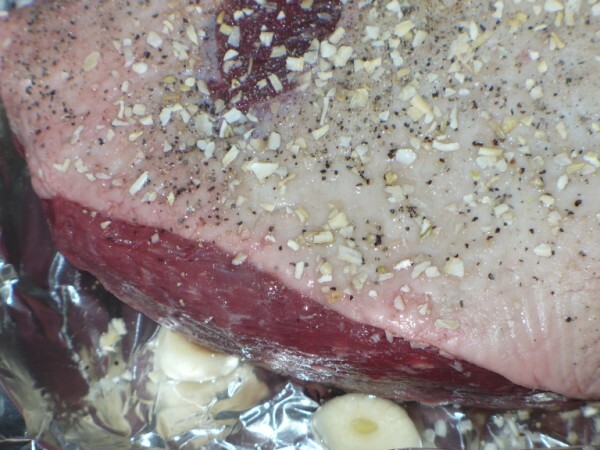 There is not a lot added to the beef - just a few spices to enhance the flavor of the meat. 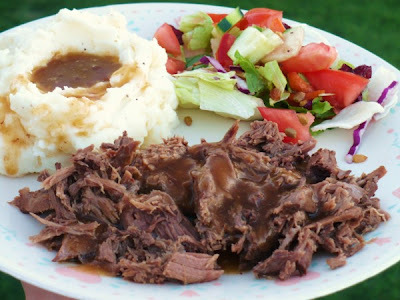 You can do this with pretty much any beef roast, but I really like two particular cuts: Bottom Round roast and Eye of Round roast. They have less fat and great flavor. The Bottom Round I usually just shred, but the Eye of Round is good for slicing. The high temperature at the beginning sears the roast, so there is no need to brown it ahead of time. Once the temperature is reduced, you can follow the usual rule of thumb: one hour for each pound. I typically like to cook it longer than that because I think it gets more tender that way. If you wanted to cook it all day, just reduce the temp to 300 or even 250 degrees. 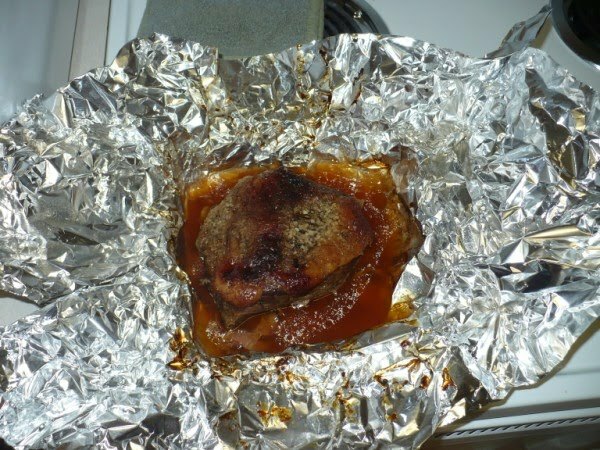 Today I used a Bottom Round roast that was about 3 pounds and cooked it for a little over 4 hours. The roast will shrink as it cooks (see photos below), so take this into account when purchasing your roast. It does produce some wonderful drippings that you can either mix back in with the meat after shredding or slicing, or use as a base for gravy. 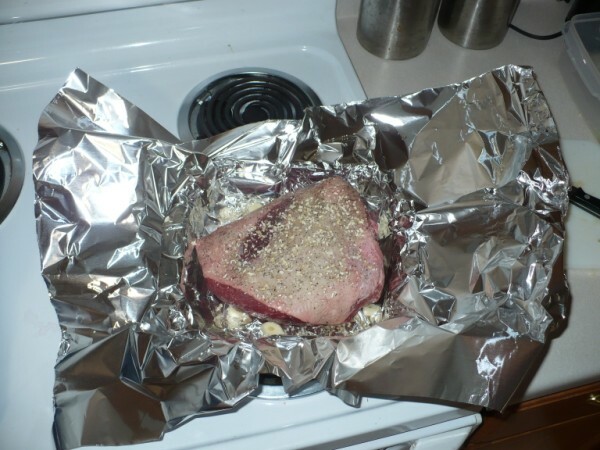 Wrap roast tightly with the foil. Place in the oven and bake for 15 minutes. Reduce heat to 350 degrees and continue to bake at least one hour per pound. Pour drippings into a sauce pan (you may want to strain out the garlic cloves). Add one cup of water and bring to a boil over medium heat. Stir in 1 tsp. of beef bouillon. In a small resealable container, combine 2 Tbsp. cornstarch with 2 Tbsp. water. Shake until no lumps remain. Slowly stir cornstarch mixture into gravy, until desired consistency (more for a thicker gravy, less for a thinner gravy). Reduce heat to low and simmer for 5 minutes. Serve with beef.